Barbati is a coastal settlement in northeast Corfu and 20 km away from the Corfu Town. 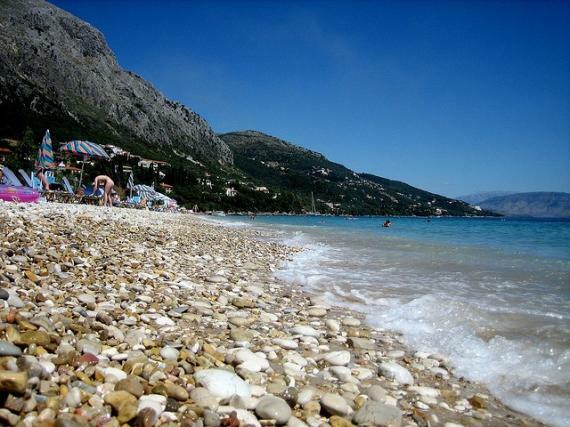 It took its name from the villa of the noble Barbati family and stands out for its large beach with small pebbles. This is an area known for its rich natural beauty of the picturesque Greek countryside, overlooking the Aegean Sea. Just at the foot of the highest mountain of Corfu, Pantokrator, it's a village of contrasts, since it attracts both elderly and young guests, that want to experience a lively and fun holiday. The extra large beach leaves no one unmoved and is ideal for both relaxation and sports, offering various ways to get active, such as snorkeling. In any case, it provides all comforts of an excellent travel destination through taverns, shops and water sports. Find information about selected Hotels, apartments and rooms in Barbati to choose the perfect place for your accommodation.